I stepped into this one backwards. I saw the movie first, then looked for the book. I read the book, then just recently listened to the audiobook thanks to a friend who had it on her ipod. If you like stories of ancient tradition or stories where characters struggle against ancient tradition, this is a good one. 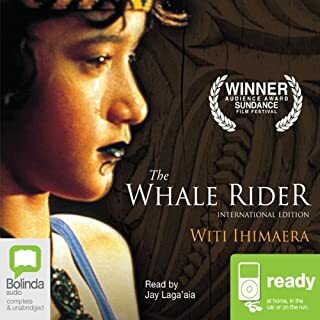 The Whale Rider offers a look into the world of a tribe that decends from the legendary "whale rider" and the struggle of Kahu to overcome tradition and be recognized for who she is (and who she can become). This is a good story, and one I would recommend. As other readers have said, the first book got things going and this one brings it all together. I had to fight with my teens for the ipod so I could get to the end of the story. For the next one we've decided we're going to hook it up to speakers and all listen at the same time. Should be fun! What continues to make this such a good find for me are the characters. I've enjoyed watching Adrina go through the many changes, and Vilmos maturing somewhat as he continue on with Xith. The world setting is expansive as well. The culture of the kingdoms is very rich, as is the culture of the elves. The story continues to have mystery as well as fantasy. The mystery is what makes this non-fantasy reader very happy. As with the previous book, I think this book owns all five stars easily. Again, a well written and delightful listen. The third book will be released May 31 and we are very excited! Excellent -- one of the best! I don't usually like fantasy so I was a bit skeptical about this book. My teens wanted it so much I gave in. Apparently they've read all the author's books in paperback and wanted to see how the story would be to listen to. I agree with the previous reviewers of this book about this being only the beginning of a much larger story. I think someone else said Harry Potter and the Sorcerer's Stone was very much the same. 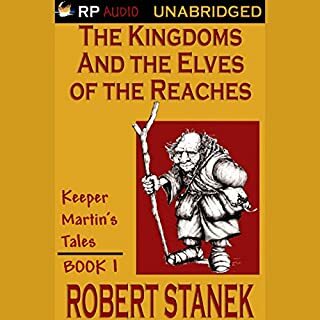 Make no mistake, like Harry Potter and the Sorcerer's Stone and The Fellowship of the Ring, this is very much an introduction to the fantasy world of the authors imagining. What I liked about it, and I don't normally like fantasy, is the believability of the storylines and how well drawn the characters are. Each character has a background, a history, wants, needs, desires. If you have no feeling in you whatsoever I guess I could see how you wouldn't like this book. Adrina pull's on your heart strings because she is in so much pain over the loss of her mother. Vilmos experiences much adolescent angst. Poor Seth and Galan get the worst luck of all. I think this book owns all five stars easily. 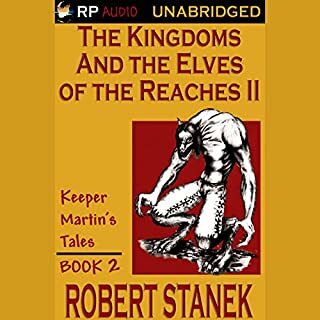 It's well written with a great story and a good reader who does a good job of telling it. 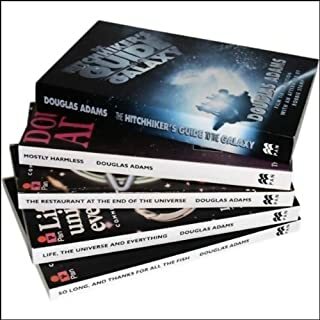 I gave The Hitchhikers Guide to the Galaxy by Douglas Adams 5 stars because it was outstandingly good. It fills you with suspense so you will always want to know what is going to happen next. You can laugh through the whole thing I think. This book is great and is funny like I said you can laugh the whole time you listin it and I'll always give it at least two thumbs up. Hope you enjoy it also!